- Oldham Optics with Certificate of Conformity. - Choice of field flatteners and focal reducers. - Microstep secondary mirror with software control. - Feather touch double speed focuser for visual use. - 9 points mirror support. 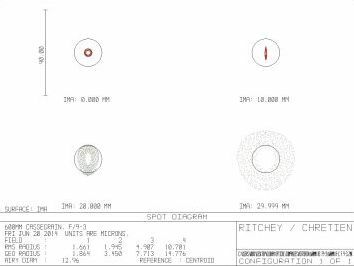 Cassegrain and Ritchey–Chrétien (RC) telescopes are used by professional observatories, research institutions and universities. The telescopes are made in open truss construction style with CFK-tubes and precision optics from Oldham Mirrors. Customers can choose from the optical tube assembly (OTA) or the complete telescope system which can be set up in an equatorial or alt-az design. In combination with a focal reducer or field flattener, these instruments can also be used for large CCD sensors with diameters of 150mm and more and still display pin point stars all the way to the corners. Best configuration possible: Oldham optics inside! corrections also during volatile thermal conditions, we only offer our optical sets in either Supramax ceramics. Oldham offers perfect quality parabolic mirrors, flat optics as well as Cassegrain- and RC-Systems. 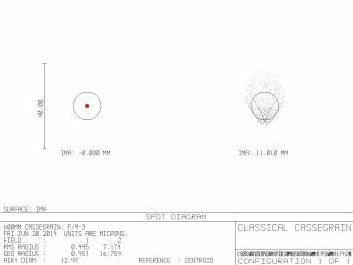 Contrary to other optic vendors we deliver every optical set with test certificate and interferogram. 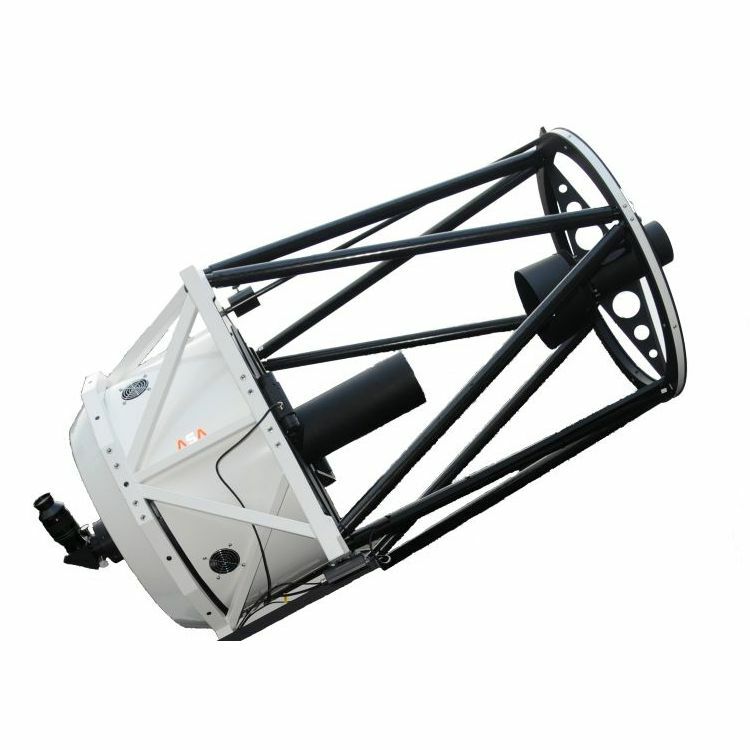 Astrofox designed and implemented many telescopes globally and all the optics delivered always more than have fulfilled their specifications. Coating Aluminium and Quartz, other coatings like silver and gold upon request!